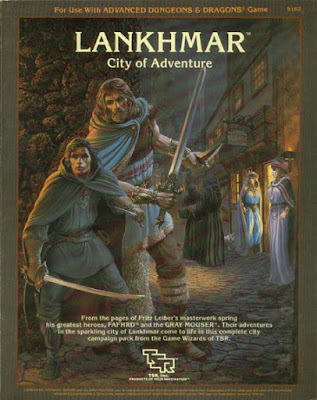 I first encountered Fritz Leiber's Lankhmar in the 1980s in the pages of TSR's Deities & Demigods book for AD&D followed by their Lankhmar: City of Adventure sourcebook. I had a pretty difficult time finding collections of Leiber's stories - my recollection is they either were out of print or not at my local Waldenbooks, in these days before Amazon. It was shortly after I graduated college that White Wolf released a series of hardcovers compilations that I finally managed to read all of the stories - and it's been an awfully long time, it might be time for a reread. I've been digesting the Dresden Files Accelerated RPG off and on over the past several weeks - an activity balanced by family, work, finishing my graduate class, and running my Fate Accelerated Star Wars game. Reading through Dresden Files I've been giving a fair amount of thought to the type of campaign I'd run. I lean pretty heavily towards the urban jungle environment like the Chicago of the Butcher's Dresden Files series of novels - Chicago plus trips to Aztec pyramids, the Nevernever, and other places in our world and others. I've been eyeing re-purposing my homebrew superhero city Port Henry for that purpose. I am currently working my way through Mary Beard's SPQR: A History of Ancient Rome. She covers Rome from its legendary founding to the point where all free people of the Empire were granted citizenship. She closely examines the legends of very early Rome such as the founding by Romulus and Remus, the Regal period, and the early Republic. For all of these periods we have no contemporary written history, being forced to rely on archaeological evidence - any written histories of those periods were written centuries later. I thought it might be interesting to post some stats for our Fate Accelerated Star Wars characters. The game is set in the time leading up to Rogue One and A New Hope, with our heroes working for Bail Organa. These stats are before any milestones are accounted for. High Concept: The old ways are gone and it's up to me to bring them back. Owing to winter storms, sicknesses, and internet outages I've not gotten as much gaming as I'd like to have this calendar year. However, we've managed to generate some Fate Accelerated Star Wars characters and completed a single two-session adventure. Next game is in a few days, probably a one-session adventure. I've not achieved perfection in running Fate Accelerated, but I'm definitely getting the hang of it. Unlike my earlier attempts with Fate, aspects are getting used frequently and there are frequent spends of Fate points. So far it has primarily been player character aspects that are getting used plus consequences so an item to work on is getting situational aspects in play as well. However, this is quite an improvement from my earliest attempts which saw minimal aspect use. 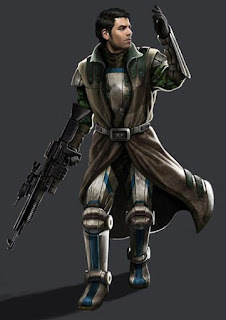 R2-C4 - Rogue Imperial assassin droidGaven Stark - Idealistic former Imperial army officerMarcus Doha - Veteran Clone Trooper who has lived an active life since the Clone WarsScene 3: The "Rescue"
Admiral Bayran had a small treetop estate that was under assault from a small force from the Imperial Sentinel landing craft - an AT-ST, a small squad of stormtroopers, ISB Agent Kerrin Malloch, and Malloch's prisoner, the Twi'lek criminal Tel Akuna. As a kid who obsessed about the space program back in the 1970s and 1980s, it's embarrassing (but not surprising) that I had no idea who Katherine Johnson, Dorothy Vaughan, and Mary Jackson were. 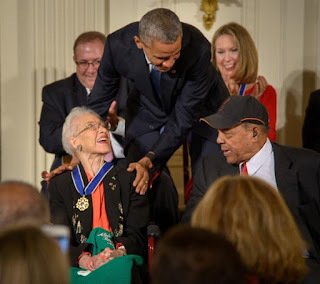 I became familiar with Mrs. Johnson when President Obama awarded her the Presidential Medal of Freedom in 2015. The three were African-American women who worked as computers at NASA and its original organization, NACA. This was the era when a computer was a person, not a machine. As part of my Master's program in Strategic Analytics, I'm taking a management class on Organizational Leadership and Decision Making. I'm working on a research paper which has to include characteristics of leadership and a leader, either someone we know or someone famous, who exemplifies them. I'm writing about Abraham Lincoln but I have to confess I was sorely tempted to write about Eddard "Ned" Stark from A Song of Ice and Fire. (Spoilers for A Song of Ice and Fire through A Dance with Dragons). 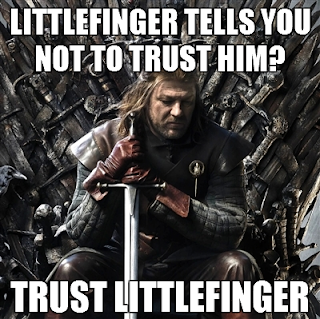 Ned gets a bit of a bad rap. He certainly made mistakes and wound up paying with his life for those mistakes. 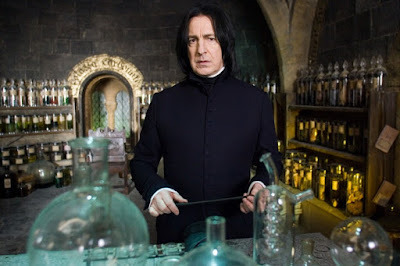 But his mistakes were mistakes of being an ethical man, a man who would do all he could to spare the lives of children, even the children of his enemies. And he was determined to do what he felt was right, such as supporting the claim of Stannis over that of his brother Renly even when it would have been to his advantage to have supported Renly. 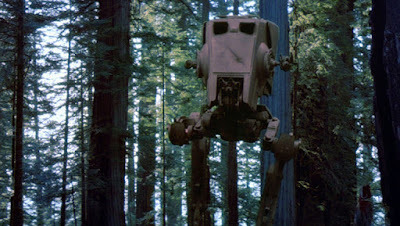 Back in January I wrote about how in the Star Wars universe, hyperspace travel seems more akin to an airplane trip than a trip by ship. You are typically not talking a journey of days - several hours most likely, with a worst-case trip being akin to a trip from say New York City to Tokyo. A direct flight would be around 14 hours, something with connecting flights would be perhaps a day and a half. Some RPGs, such as Chaosium's Basic Roleplaying, have a mechanism by which you can improve skills by a program of study, costing both time and money. Similarly, in some versions of D&D some training is required to move up a level. As a kid I must admit I thought that was a pretty easy way to get improvements. The main caveat is such characters cannot be involved in other activities during that period. As I near the end of the fifth class in my Master of Science in Strategic Analytics, something I am doing while maintaining a full-time job, being a husband and dad, gaming, and blogging, I've got a real appreciation for just how difficult accomplishing that is. I've a side blog dedicated to politics that I've needed to put in stasis as I work on keeping up with all of this - not for lack of ideas, but for lack of time. 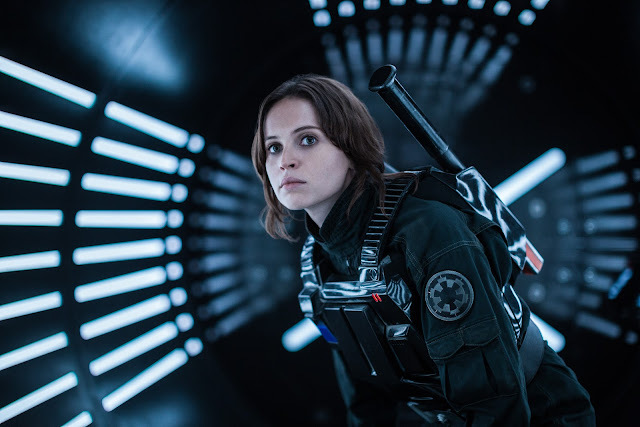 This post is loaded with spoilers for Rogue One: A Star Wars story. Having had some time to digest Rogue One I've discovered it ranks up there among the top tier of Star Wars films. I'd rank it up there with Empire Strikes Back and would say it simply a great movie. I have to confess my expectations weren't terribly high when I saw it - I thought it would be an enjoyable movie and I did take the whole family opening night (actually a 7 PM "midnight showing" the night before it opened). What is it that worked so well? First and foremost, it was a movie that told a story. 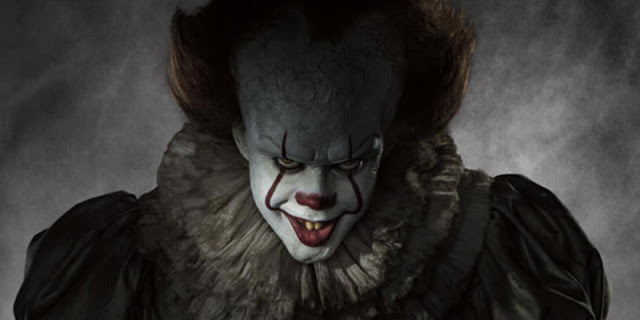 It wasn't trying to build a cinematic universe or making certain it had hooks for sequels. I think, for example, that Amazing Spider-Man 2 was so focused on building a franchise it neglected its first priority in making a great movie. As a result, Rogue One was able to focus on delivering a great movie. It was able to be brave and let the characters sacrifice their lives for the Rebellion.